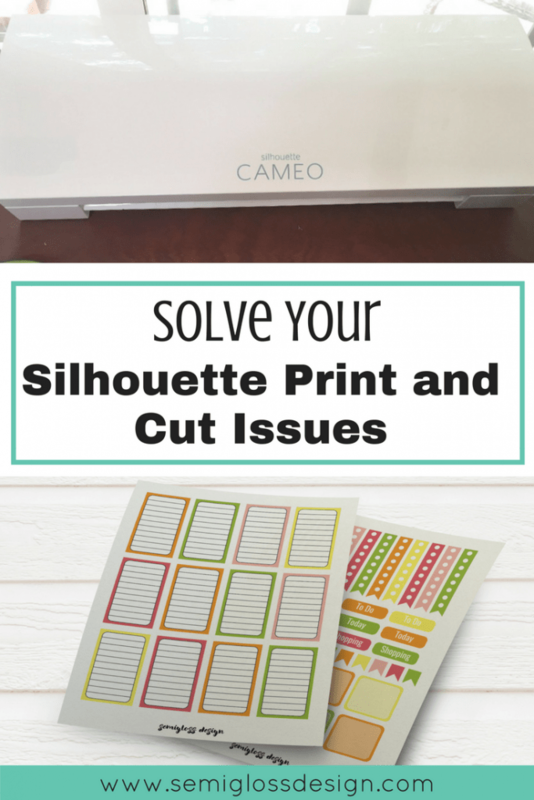 Home » DIY » Other Crafts » Solve Your Frustrating Silhouette Print and Cut Issues! Solve Your Frustrating Silhouette Print and Cut Issues! Learn how to fix your silhouette print and cut issues. Having trouble with your silhouette print and cut not lining up? It’s easy to fix. I love my Silhouette. But when it comes to the Silhouette Print and Cut Function, the relationship changes. And not in a good way. A few weeks ago, I was trying to print and cut labels for my shop and was almost in tears during the process. My carefully crafted labels printed beautifully, but every time I tried to cut them, the cuts were getting farther and farther from being right. It was incredibly frustrating. So I want to share the process of how I solved my silhouette print and cut issues. Need more information on using Silhouette Print and Cut? I’ve got you covered with this post on how to cut stickers. 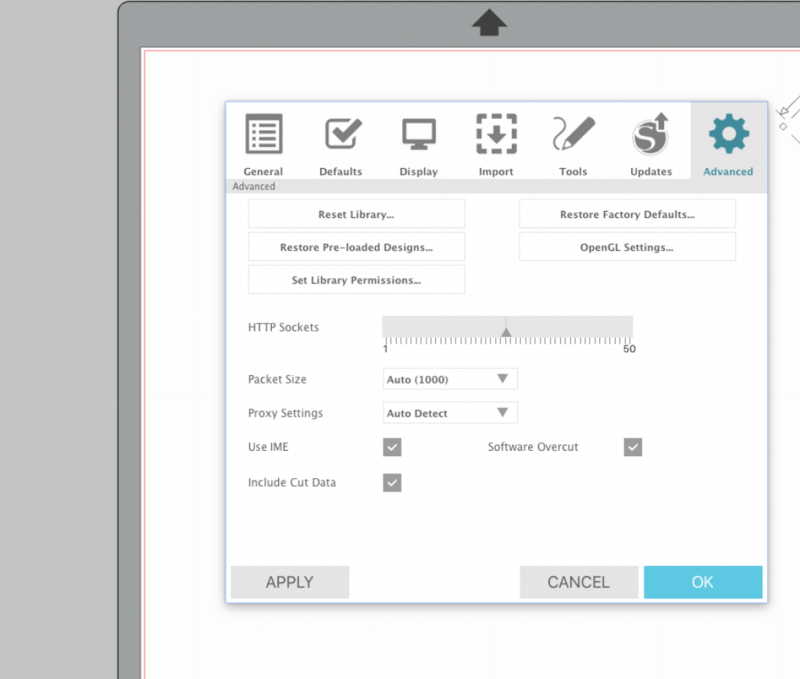 Open your Silhouette Design Studio software. 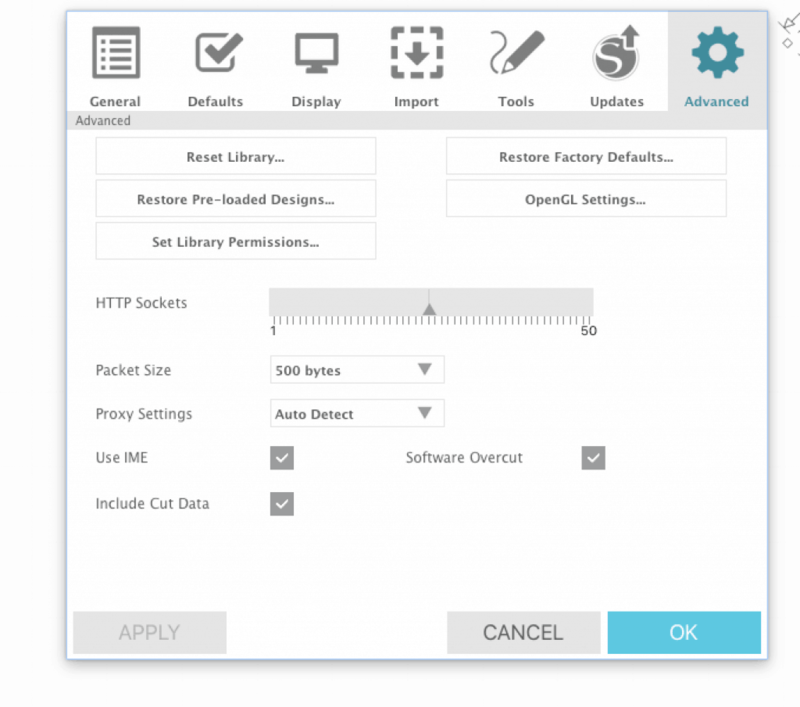 Open the settings panel. It can be found in the lower left corner. Click on the “Advanced Panel”. This should solve the issue of the cuts not aligning correctly. I’m not even sure why it works, but it’s something about how much data the Silhouette sends to the computer. Sending less data sounds bad, but it’s actually better because it keeps it from getting bogged down. This is a pretty common problem, so I’m not sure why it is set so high to begin with. 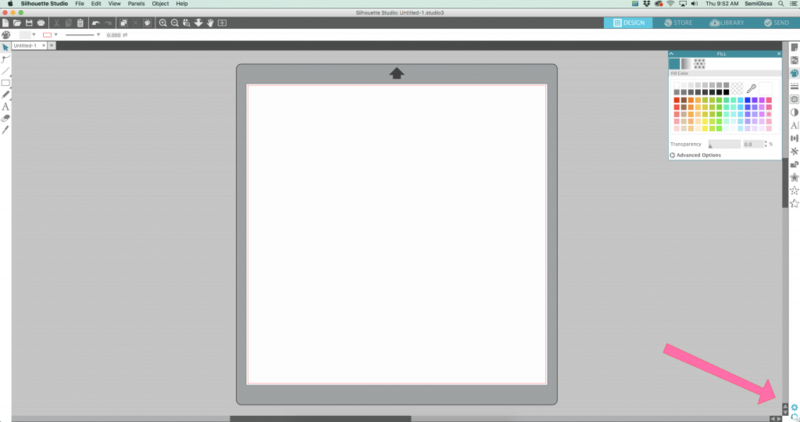 Your silhouette print and cut should line up perfectly now. Lighting. Your silhouette needs to have a decent amount of light to be able to read the registration marks. Place a lamp near your silhouette or place it near a window for daytime use. Bluetooth. Even though my machine sits inches away from my computer, I can’t always get it to link via bluetooth. Just plug it in. Images in the registration zone. You can’t have anything in the registration zone. 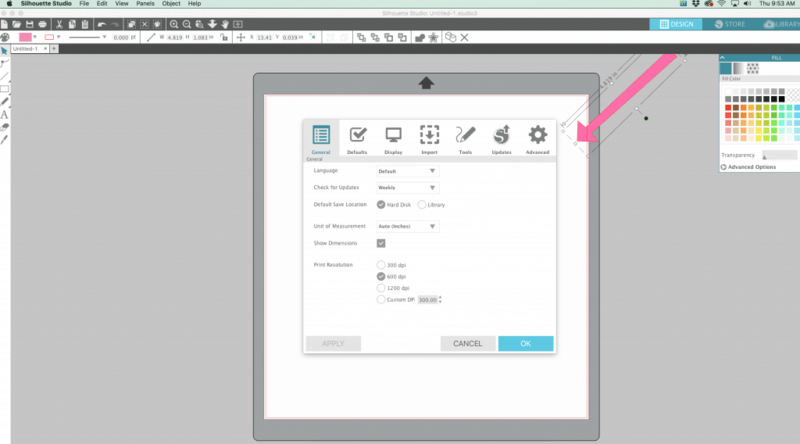 Cut your design apart and place them on separate pages. Make sure that you paper is properly aligned on the cutting mat. If all else fails, sometimes turning it off and turning it back on, plus restarting the Silhouette Studio software can fix your problem. Have you solved your alignment cutting issues any other ways? Let me know. There’s nothing more frustrating that tech issues and I would love to help as many people as possible. Oh thank you! I’ve been going out of my mind! No one else says to put a light by the cutter. Sheesh! You are a GENIUS! This was the PERFECT help for me! You can’t believe how excited I was to make my first set of stickers!! Thank you!! Oh my gosh!! You are a genius! I have been googling and struggling for over a month now and tonight I stumbled upon your post. This one little fix changed everything for me! Thank you thank you thank you!! These solutions worked at first but doesn’t anymore. Any new tips or tricks? Before your fix – it balked at registration, failing repeatedly. It finally cut only to be exactly the same amount off all across the page. I switched the packet size to 500 bytes and the next attempt cut perfectly. Your packet size fix worked for me. So glad to have found your page. Many thanks!! !